Membership in OHecu is just that – membership. Our members are more than customers, clients, or guests – they are owners, and owners have many privileges. A full-service financial institution ready to assist you with quality financial services for all stages of your life. Financial education to assist members in becoming better educated consumers of financial services. 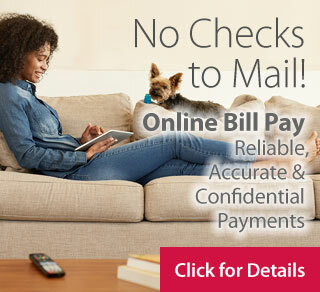 Convenient services such as Direct Deposit, Online Banking, Mobile Banking and Remote Deposit. Security of dealing with a reliable, established organization of financial specialists to assist you in building your financial future. Member deposits are insured up to $250,000 per account through American Share Insurance. To see who can become a member, click here. You can also become a member by stopping into any OHecu office with two forms of identification. Remember - Once a Member, Always a Member! You still maintain the full privileges of OHecu membership should you relocate out of the area or retire from the company or association that offers you membership! As long as you keep your account in good standing, you will maintain the full privileges of membership.